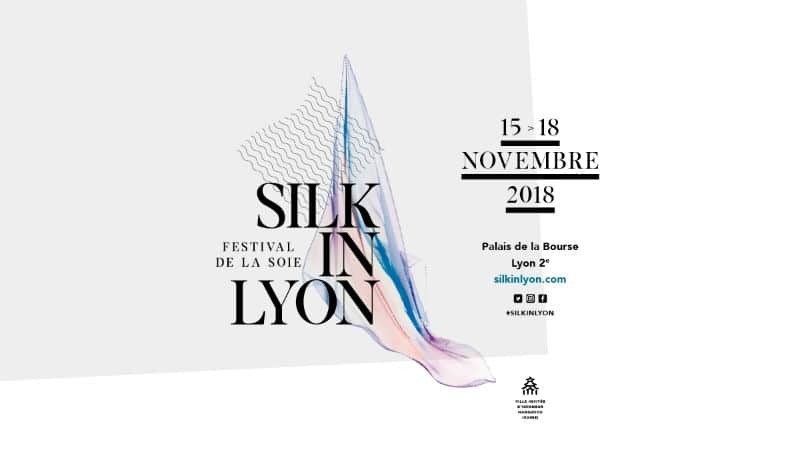 Learn about the silk industry and “canuts”, an essential part of Lyon’s history, with the Silk in Lyon Festival, from November 15th to 18th 2018. INTERSOIE France is an organization of around 30 professionals in the domain of the silk industry. They defend and promote their art while acting on any regulatory aspects in the field. With the city of Lyon’s help, and the experience they acquired along 12 years of the Marché des Soies event, they are launching their very own festival. For this first edition of the Silk in Lyon Festival, you can expect to meet 140 professionals who each have a role in the silk industry and who are eager to demonstrate, over 20 different forms of entertainment and many activities. This event will be situated in the Palais de la Bourse from November 15th to 18th. It will be open from to 2 PM to 7 PM on Thursday the 15th, 10 AM to 7 PM on the 16th and 17th, and 10 AM to 6 PM on the 18th. The tickets are at 5€/day or 10€ for all four days; it is also free for anyone under 18. On top of all the exhibitors you might see, there will also be a space dedicated to the 6 different stages of creating the fabric. There will be demonstrations of the process as well as certain hands-on workshops. For those of you who want to be extra ready before you go, the process is summarized on the website, where you can check out the list of exhibitors too! Activities will include fashion workshops, treasure hunts, initiations to weaving, presentations and much more. The Silk in Lyon festival will be inviting a guest of honour every year: an international city that also has close ties with the silk industry. This year’s guest is Hangzhou, China, known for its mysterious and precious fabrics that launched exchanges between our two continents. The city has its own National Silk Museum and hosts the headquarters of the International Silk Union. Representing Hangzhou and its legendary techniques in the field will be the Cathaya Group, the High Fashion International Group, the Jin Fuchun Group and the Wensli Group.